Enough said. The act of aging is happening to all of us even as we try all kinds of creams, exercises, hair colors and more to fight it. It’s in our genetic makeup barring any major illness how well we will age. 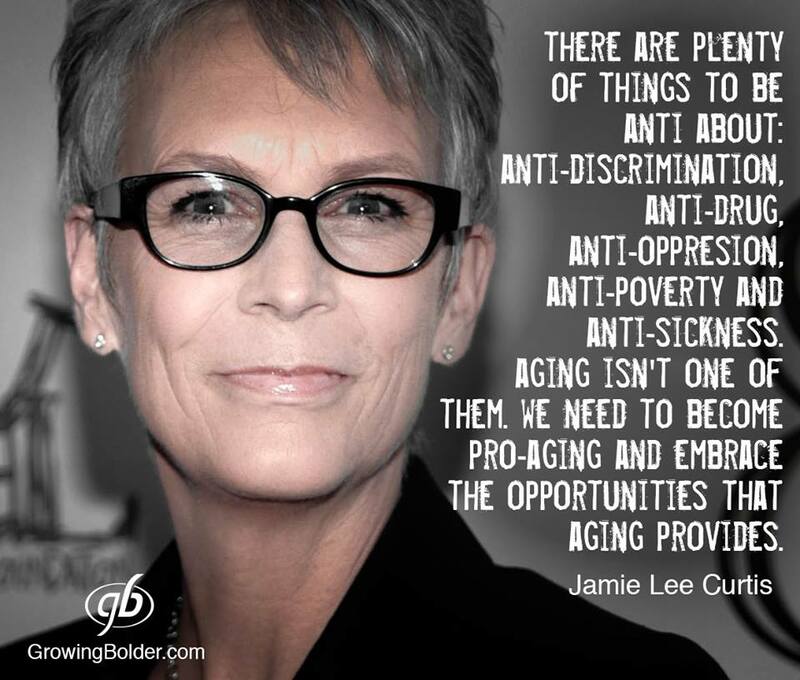 Don’t get me wrong, I’m going to continue to fight the signs, but I embrace all of the opportunities that aging allows. It has allowed me to leave a career that I enjoyed with a retirement–most people can’t say that now, and start a new career that I am enjoying. It has allowed me an opportunity to travel, sleep late, read, write, enjoy life and more. I’m not ready for the gray to show all of the time, but the opportunity to try it out is coming fast. The opportunities of aging are infinite, try some of them out. You might find something that you really like. If not try something else. You can find more of these wonderful sayings at www.GrowingBolder.com.